The lid helps invariably keeps food fresher longer than using plastic film wrap. The lid will act as a seal and ensure a fresher outcome. 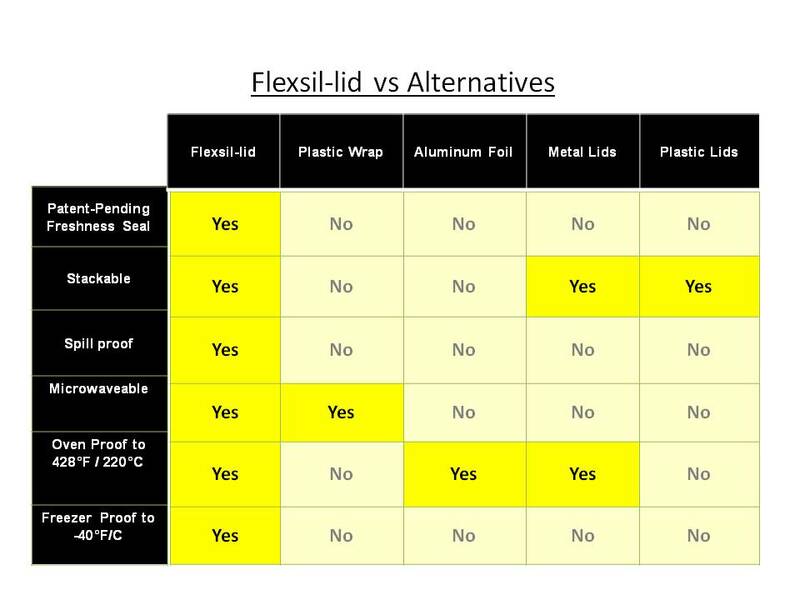 Flexsil-lid can be used in any freezers to -40C (-40F) degrees & will not become dry and brittle! Flexsil-lid can be used in ovens to 220C (428F) degrees for up to 2 hours. It can also be used in a standard microwaves for up to 10 minutes. Can be used 100's of times with no degradation. It's flexible and will return to its original shape after being stretched under normal use. It's reversible, with smooth edges so food remnants can be easily washed off. Use a whiteboard marker to label and wipe the writing off with a moist cloth. 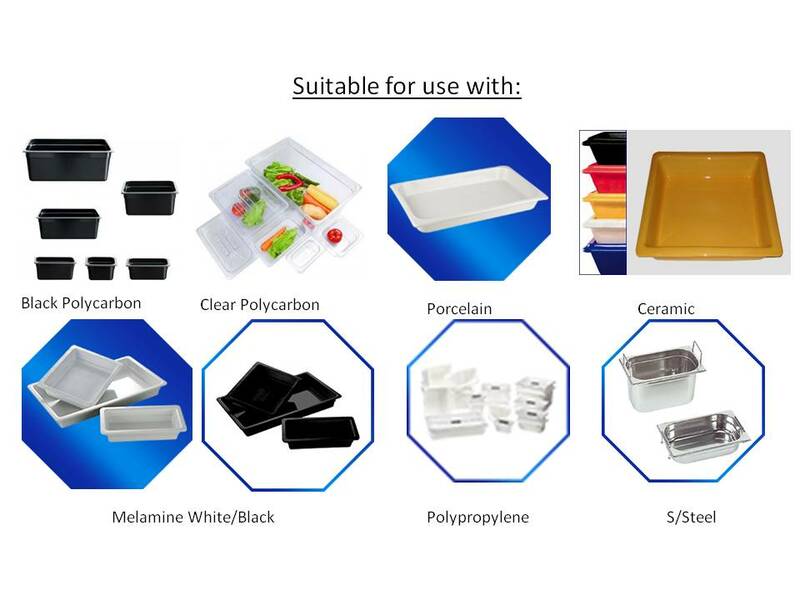 Available in colour coding for meat, fish, dairy and other products. Stack your perishables with the lid affixed. Not Suitable for 1/1 or Full size pan. Transport food without fear of spillage. You can fit it in Seconds. Reduces cooking time and thus save energy too. Plastic Wrap or Al-foil need to be wrapped 5 times to be as effective as Flexsil-lid on each pan. These figures show the amount required in length. Add up the cost!